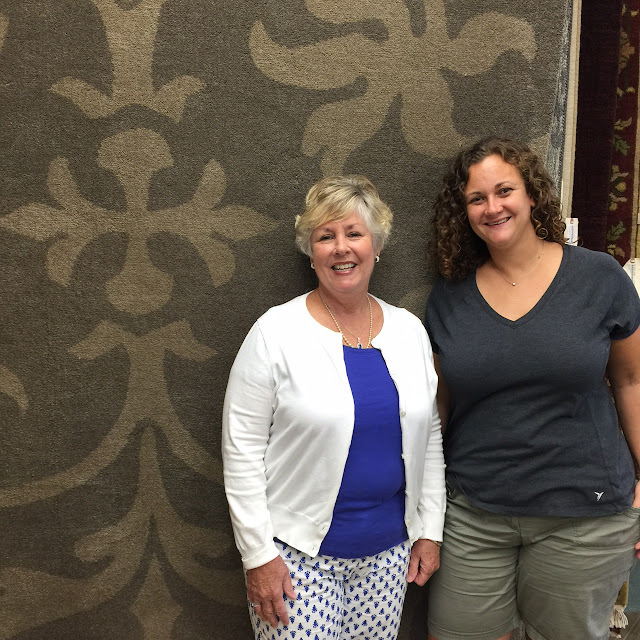 Indianapolis Flooring store, Kermans Flooring, gives away a beautiful area rug each month! Our store selected another lucky Rug-A-Month Giveaway recipient: Debbie Mobley from Indianapolis, Indiana. After Debbie's name was randomly selected from our fishbowl entries, she stopped by the store to pick out her new area rug. She selected a two colored rug with a bold flower shape design. She plans to place the new area rug in her family room and we think it will be a great fit! Congratulations Debbie! Looking for new carpet for your home? Carpet has long been associated with comfort and luxury. It is soft underfoot and can help quiet a room. It is an excellent value for your dollar. In fact, carpet remains the most popular floor covering choice.